Aufpoliert. Mit dem X-Modell offeriert OnePlus ein Smartphone, das sich unterhalb des aktuellen Flaggschiffs positioniert, aber teilweise einiges besser macht. Dafür findet sich darin lediglich ein Vorjahres-SoC wieder, sodass die Ausstattung der des Erstlings stark ähnelt. Doch das X ist mehr als ein umbenanntes One. In unserer Redaktion nutzen zwei Kollegen das OnePlus X seit mehreren Monaten ständig. Beide würden es wieder kaufen oder es Freunden zum Kauf empfehlen. Design und Verarbeitung lassen niemanden ahnen, dass es sich beim OnePlus X um ein so günstiges Smartphone handelt. Auch in Sachen Leistung kann in dieser Preisklasse kein Konkurrent mithalten. Edel, kompakt, gut ausgestattet und für unter 300 Euro zu Haben. Das OnePlus X ist ein echtes Schnäppchen. Aufgrund des seifigen Gehäuses raten wir "Tollpatschen" und Nutzern mit schwitzigen Fingern aber dringend von Kauf ab beziehungsweise empfehlen den Zukauf eines rutschfesten Covers. Ansonsten werdet ihr nicht sehr lange Freude am OnePlus X haben. Dem Oneplus X sieht man seinen vergleichsweise niedrigen Preis von 270 Euro gar nicht an. Im edlen Gehäuse steckt ein gutes 5-Zoll-Display und leistungsstarke Technologie. Bestwerte erzielte das Onyx auch bei der Telefonlaufzeit. Abzüge gab es dagegen aufgrund der eingeschränkten Dual-SIM-Funktion und des fehlenden Fingerprintsensor. Für knapp 270 Euro bekommen Sie mit dem OnePlus X tatsächlich ein sehr schickes und edles Smartphone aus Glas - gegen Aufpreis auch eine Keramik-Variante. So angenehm sich das Gehäuse anfühlt, so rutschig ist es auch - Bruchgefahr. Die Performance ist für die Klasse gut, kann mit Highend-Boliden aber nicht mithalten, was aber auch nicht das Ziel ist. The OnePlus X was the best value smartphone of 2015. We love the premium design in a smaller form factor to the firm’s other phones. Software is a strong point and you get a gorgeous screen. However, cuts had to be made somewhere and the X is lacking features such as NFC, 11ac and Wi-Fi. It also is missing the fingerprint scanner and USB Type-C port found on the OnePlus 2. Battery life isn’t great and cameras aren’t best in class but this is a great phone for the price. The OnePlus X is a good-value phone, one whose high-quality build and performance outclasses virtually all other phones at this price. Its key problems is that it trades away much of the camera finesse of the OnePlus 2, and has a slightly problematic display in places. 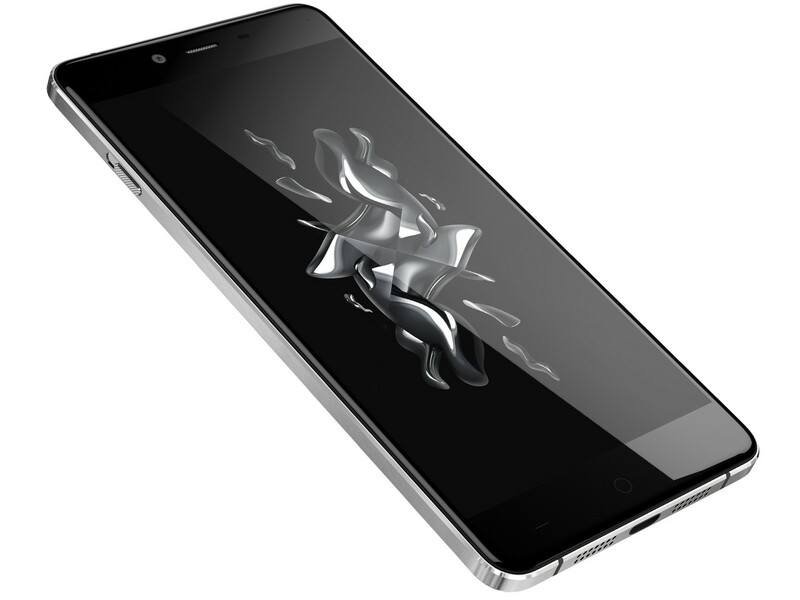 70% OnePlus X review: Another winner from China? It’s hard to justify picking up the OnePlus X when the OnePlus 2 was such a fantastic phone. If you can be bothered with the process of getting an invite, it’s worth spending a little more money and getting the far better flagship product. The design of the OnePlus X is great, and it's impressive what OnePlus has done here considering the price. But when you compare it to the slightly older and better equipped sibling, it’s all about the OnePlus 2. OnePlus can only really offer the best high-end specs within its flagship range, dropping the price down to the £200 mark is just too low to offer the full Android experience. It's a shame but unless you're really passionate about this design, you want the OnePlus 2. I have not been able to do much testing with in the short time using the phone, but I can say that I have been very impressed with it so far. In particular, the battery life. I was able to get through a full day and it just kept on going until 4 PM the following day. That’s from a 2535mAH battery and bear in mind this running Android 5.1.1 – not 6.0 with Doze mode built in. The UI feels snappy and fluid, as it should with the 2.3GHz Snapdragon 801 chip. This is also supported by 3GB RAM twirling the gears behind the scenes. The OnePlus X is a relatively compact slice of smartphone loveliness for £200. No, it’s not the fastest phone in the world, nor is it the best in any category, but it's a good all-rounder. I’d quibble if it were £300 – in fact, I’d tell people to buy a Nexus 5X instead if it cost that much – but, at this price, I’m inclined to give it a pretty easy ride. In fact, the only stern challenge comes from its own stablemate, the £239 OnePlus 2, or since-deposed flagships such as the LG G3, which is now available for around £250 – and far easier to get hold of. That’s pretty much the crux of it: the OnePlus X is yet another good, if not great, phone marred by one incredibly, outrageously aggravating flaw – it’s infuriatingly difficult to actually buy the damn thing. If you’re one of the lucky people who get an invite, or you nab one in the flash sales, then you’re on to a winner – but you'll need to be patient if you’re intent on bagging yourself a smartphone bargain. Best of luck. OnePlus X is an interesting experiment by OnePlus to reach out to the audience that does not want a large screen phone. In terms of design and display panel – OnePlus has really nailed it. Also features such as dual SIM support and FM Radio will be loved by many. At Rs 16,999, OnePlus X does deliver the goods and is a phone worth considering only in case you want to own a OnePlus device. Camera performance and battery life performance have not been impressive. While camera is good for daylight photography, the low light performance is not up to the mark. And with the battery life, we always had to keep the charger handy. The OnePlus X lacks quick charging feature, and it takes almost 2.5 to 3 hours to charge fully, which is a lot of time in an age of quick charging adapters. It seemed like a killer mid-range offering – one with great design, decent specs, no-nonsense UI, and, above all, a very tempting price tag. Perhaps we had our expectations set too high as we're now convinced that the OnePlus X is not the ultimate mid-ranger. But it is not a bad phone either. It is a good-looking handset with very responsive software and a fitting price. We did run into a number of issues, however. Most notably, the OnePlus X does not run games very well, which comes as a surprise given its hardware specs. Also, the low-light performance of its camera is quite poor, the quality of the earpiece is disappointing, and the battery life could have been better. But the last few flaws we can live with considering how much the phone costs. The quality standard for sub-£200 smartphones has been going up and up in recent years – and we now get to the point where you can have an utterly premium experience in your hand – materials, display, speed, audio, the works, all for a third the cost of an iPhone. Corners have been cut here and there – the lack of NFC and the poor visibility of the capacitive controls, but these may well be trivial to you as a potential purchaser. In which case, run, don’t walk to get your invite and pick the OnePlus X up – it really is that good. OnePlus X is a solid phone for an excellent price. It's easily the best-looking phone you can get for $250, though it falls short of some other unlocked options and misses some LTE bands. The Nexus 5X is more expensive, but it's also more powerful and offers better connectivity options for U.S. users. The OneTouch Idol 3 4.7, meanwhile, offers largely comparable hardware for $70 less. And both devices are much easier to get than the OnePlus X, which could prove to be the deciding factor for many potential buyers. Do not judge this phone by its stunning cover; you will be disappointed. The OnePlus X is very attractive and affordable, but its mediocre cameras and below-average battery life keep it from being a superb phone.For the same price, you'll find a longer-lasting battery and a larger, brighter screen in the Alcatel Onetouch Idol 3. But the Idol 3 is slower, and lacks the OnePlus X's style. If you want a compact, premium-looking handset with decent performance and you don't mind charging your phone more often, the OnePlus X is worth considering. With a premium body and solid internals, what we have is a device that might be OnePlus's most compelling yet. It is certainly not without its flaws, and may not be future proof, but for now, the OnePlus X is one of the best bang for your buck smartphones of the year. OnePlus has a formula: make phones affordable. We're huge fans of the OnePlus 2 handset, which effectively carved a new standard by delivering near-flagship quality for a middling £239 price-point. With the OnePlus X, however, the formula has been tweaked. It's a smaller, slimmer and even-more-affordable £199 handset with 5-inch AMOLED display that, on paper, sounds every bit as enticing as its bigger brother OnePlus 2. It's a decent mid-budget device that offers strong performance using a dated but powerful SoC and more than enough RAM. It also boasts of great looks, a premium feel, good software, and a superb screen. However, the quality of the build is somewhat questionable, and the camera is utterly lacking in detail and definition. Heat dissipation issues have a tendency to negatively affect battery life. If you do choose to go for the OnePlus X and manage to get your hands on an invite, this is a decently rounded phone which offers a good combination of performance, looks and software. The OnePlus X is another solid smartphone, and it's the best-looking OnePlus yet. Factor in its surprisingly low price tag and OnePlus may well have a mid-range winner on its hands. The OnePlus X is a good looking phone with pretty decent camera, battery, and processor performance—and it's super cheap. Superb build quality, an excellent screen and a great battery life, but the OnePlus X isn't the budget smartphone killer we were hoping for. No-one has quite the price aggression of OnePlus. And the OnePlus X is yet another bargain blower for people who don’t like the feel of the OnePlus 2, or are after something a bit smaller. Its design is lovely, with no sign that this is a supposedly 'cheap' phone. It’s a delight. The only issue is that the OnePlus 2 only costs £40 more at £240 and has a more versatile camera and, for the screen snobs, more relaxed-looking colours. It seemed like a dream on paper: The specs of the company's excellent debut flagship squeezed into a smaller, well constructed shell. In reality, OnePlus has cut some corners here. The X suffers in the camera and display department, and for some reason doesn't support some increasingly common LTE bands in North America. The OnePlus X is not another flagship killer, we have the OnePlus 2 for that. Instead OnePlus decided to take a break from the high profile smartphone gane and brings us a stunning mid-ranger capable of delivering on both looks and performance. The OnePlus X is an impressive-looking smartphone – and for £200 will happily meet most buyers' needs. For those people, the OnePlus X is an excellent option. The dated processor and mediocre camera will probably go mostly unnoticed, drowned out by the brilliant build quality and a cohesive software experience that’s absurdly good at this price point. Even those with more demanding mobile needs may be tempted by the potent mixture of a sensibly-sized Android smartphone with a reasonable price tag in tow. In terms of fit and finish, the OnePlus X is the gold standard of midrange smartphones. For $249, you may be able to find a smarter sidekick … but you’re not likely to find a prettier one. The OnePlus X may lose some of the OnePlus 2’s glamour with no fingerprint scanner and cut-back performance, but it’s still a smooth operator that’s impressively slim and light, with a sharp, seriously good AMOLED display and a dependable 13-megapixel camera proving highlights. If you really care about buying a good looking smartphone on a budget, then the OnePlus X is the best that you can get right now. On the other hand, if you want top of the line, uncompromised performance, then the Asus Zenfone 2 is a better buy. The OnePlus X is better looking than the Zenfone 2, has a much better camera and similar battery life. It's only the performance that puts it behind. Will the OnePlus X be the best budget Android phone? It’s hard to say at this stage how good the OnePlus X is going to be. On the one hand, the design looks absolutely stunning, especially the ceramic model; on the other, the specifications aren’t exactly cutting-edge, and the battery in particular looks to be on the small side. Once again OnePlus shows that it can bring an amazing value to a product. In terms of absolute value, I would say that this phone is basically your 2014 high-end phone, with a design that would beat most 2014 Android handsets. This in itself is a feat. In terms of relative value, the $249 (unlocked, U.S) price is extremely aggressive for a no-contract phone. The internal hardware still remains very powerful, and this is a phone that is fully gaming-capable, and it can challenge most phones that are in circulation today. The OnePlus X is a significant departure from the Flagship Killer mantra that followed the past two models. This time, OnePlus focused more on delivering a compact device that still retained a good deal of features and specifications but wasn't really a flagship device anymore. Modell: Das OnePlus X ist eine preisgünstige Gestalt mit gutem Preis-Leistungsverhältnis und einer soliden Spezifikation. Wie üblich wird es durch ein großartig aussehendes Design, nach welchem sich viele umdrehen werden, ergänzt. Das Phone mit abgerundeten Ecken verfügt über ein OnePlus-Logo an der Glasrückseite, die sicher in der Hand liegt, jedoch möglicherweise empfindlich auf Fingerabdrücke ist. Es ist überraschend schlank, leicht und dünn. Der 5-Zoll große AMOLED-Bildschirm mit einer Auflösung von 1920 x 1080 liefert knackige und farbenfrohe Bilder. Dank eines Qualcomm Snapdragon 801 Prozessors und 3 GB RAM erreicht das OnePlus X eine hohe Leistung. Seine 13 MP-Kamera an der Rückseite ist bei ausreichend heller Beleuchtung für klare und detailreiche Photos, absolut perfekt. Allerdings eignet sich das Phone nicht für AT&T-Nutzer, denn es unterstützt LTE Band 17 nicht. Diese Nutzergruppe muss auf das Phone für eine bessere Netzwerkerfahrung verzichten. Die Akkulaufzeit bringt einen Durchschnittsuser durch einen ganzen Tag. Dass es weder Quick-Charge-Unterstützung noch einen raumfüllenden Klang liefert, ist für ein winziges 7-mm-Phone nicht verwunderlich. Zu seinem üblichen Marktpreis war das OnePlus X schon immer dank seines großartigen Bildschirms und der einfachen Software beeindruckend. 0.138 kg: Es gibt nur wenige Smartphones, die so leicht sind. OnePlus: Der chinesische Smartphone-Hersteller Shenzhen OnePlus Science & Technology Co., Ltd. wurde 2013 gegründet. 2014 wurde das erste Smartphone auf den Markt gebracht. Es ist ein Tochterunternehmen von BBK Electronic Corporation, einem riesigen chinesischen Elektronikkonzern, zu dem auch Oppo und Vivo gehören. Oppo, Vivo und OnePlus hatten gemeinsam 2016 mit 10% einen höheren Weltmarkt-Anteil bei Smartphones als Huawei, was in etwa einer 140% Steigerung gegenüber 2015 entsprach. Gemeinsam lagen die BBK Tochterfirmen damit auf Platz 3 der Weltrangliste. OnePlus ist aber der kleinste der drei BBK-Smartphone-Hersteller. Es gibt nicht sehr viel Testberichte zu OnePlus-Smartphones, die Bewertungen sind aber überdurchschnittlich gut (2016). 78.52%: Weltbewegend ist diese Bewertung nicht. Obwohl es bei den meisten Websites einem "Befriedigend" entspricht, muss man bedenken, dass es kaum Notebooks gibt, die unter 60% erhalten. Verbalbewertungen in diesem Bereich klingen oft nicht schlecht, sind aber oft verklausulierte Euphemismen. Dieses Notebook wird von den Testern eigentlich als unterdurchschnittlich angesehen, eine Kaufempfehlung kann man nur mit viel Wohlwollen darin sehen.